Caribbean telecom provider LIME and Research In Motion, manufacturer of the BlackBerry wireless device, on Friday announced the arrival of the much anticipated BlackBerry Storm smartphone for LIME customers in Jamaica. "There is a lot of excitement about the BlackBerry Storm in the Caribbean Market," said LIME's Executive Vice-President Commercial Mariano Doble. "The BlackBerry Storm gives you the powerful email and messaging capabilities of the BlackBerry solution, but it is also an incredible handset for multimedia, web access and voice calls. Customers can't wait to get their hands on it. In fact, we have pre-orders already." He added, "Combined with the Caribbean's first prepaid offer for BlackBerry service from LIME, the BlackBerry Storm is a perfect choice for customers who have been itching to get their first BlackBerry smartphone. LIME is offering the smartphone with flexible prepaid and postpaid plans from just JA $749 per month, which gives customers the best value for their money, making LIME the right choice for anyone who wants to get a BlackBerry Storm." 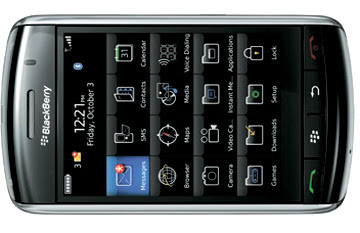 LIME said in a press release that the BlackBerry Storm smartphone delivers the renowned functionality and usability of the BlackBerry solution and incorporates the world's first 'clickable' touchscreen with advanced multimedia and communications capabilities to deliver entertainment, information and communications.